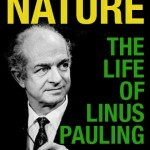 Linus Pauling’s belief in the value of vitamin C emerged from many sources, but key among them was the fact that humans, for most of their history, have been unable to produce their own ascorbic acid. This stands in stark contrast to nearly every other animal, virtually all of whom are able to synthesize their own ascorbic acid internally. Pauling viewed this human characteristic as having emerged from an evolutionary adaptation that, in his view, had sentenced modern humans to lives of sub-optimal health. In December 1970, Pauling detailed this point of view in an article titled “Evolution and the Need for Ascorbic Acid,” which was published in the Proceedings of the National Academy of Sciences. In it, Pauling began by stating that the minimum daily requirements then espoused for vitamin C – 35 mg for an infant and 60 mg for an adult – were only enough to stave off scurvy and remained grossly insufficient to supporting ideal human functioning. In so doing, Pauling framed the onset of scurvy as not just the first symptom of low ascorbic acid levels, but rather the last symptom before death. Pauling then pointed out that, along with the guinea pig, the Indian fruit-eating bat, and an early ancestor of the Passeriformes bird, humans are among a tiny minority of the world’s animals who are incapable of synthesizing their own ascorbic acid. The question is, why? Table 1 (excerpted) from Pauling’s 1970s PNAS article. Pauling took an evolutionary view as he searched for an answer. In his article, he began by defining the eobiontic period – a two to three billion year period after the “hot thin soup” era – as a phase characterized by profound biochemical evolution. It was during this time period, about 25 million years ago, where Pauling believed that humans lost the ability to self-produce ascorbic acid. Pauling believed that the abundant availability of foods rich in vitamin C also led humans to evolve away from synthesizing ascorbic acid. Pauling listed 110 of these foods in a table within his article. They included sweet red peppers, sweet green peppers, hot red chili peppers, parsley, black currants, and broccoli spears among many others. Pauling also examined the research of three colleagues to add support for his theory: British researcher G.H. Bourne, American biochemist Irwin Stone, and American physician Edmé Régnier. Pauling looked to these three in particular to try and calibrate the level of ascorbic acid intake that would result in ideal human functioning. In 1949, G.H. Bourne conducted a study focusing on the diets of gorillas and found that they consumed nearly 4.5 g of ascorbic acid per day through green foods. The variety of foods consumed by gorillas was also deemed by Bourne to be similar to that likely consumed by humans prior to the development of agriculture. By comparing the diets of the two, as well as their proportional body weights, Bourne determined that contemporary humans should strive to consume closer to 1 or 2 grams of ascorbic acid per day, rather than the the 7 to 30 mg recommended at the time. Later, in the mid-1960s, Irwin Stone performed a set of experiments with a similar aim. After discovering that the daily rate of vitamin C synthesis for rats ranged from 26 mg kg-1 to 58 mg kg-1, Stone determined that the best intake of ascorbic acid for optimum human health was between 1.8 g to 4.1 g per day – the levels that individuals of varying sizes would produce if the rat synthesis rate were scaled accordingly. Only a couple years after Stone released his hypothesis, Edmé Régnier produced his own theory that settled on a regiment of 5 g of ascorbic acid per day. Further, after several trials in which Régnier administered varying amounts of ascorbic acid to study participants, Régnier concluded that 45 out of 50 colds had been prevented by doses of 600 mg of ascorbic acid. Not long after, Pauling would write a book that did much to popularize the use of vitamin C in the treatment and prevention of the common cold. After considering the research of the previous three scientists as well as conducting trials of his own, Pauling theorized that optimal human intake of ascorbic acid likely ranged from 2.3 g to 9.5 g. Pauling’s minimum recommendation was 2.3 g because that was the average amount of ascorbic acid provided by the 110 natural foods listed in his table. Likewise, Pauling deduced that the amount required to achieve optimal health would not exceed 9.5 g, because that was the high-end total available through a smaller selection of foods described in the same table. Pauling also recognized the importance of biochemical individuality, age, size, and gender, and considered all of these factors in publishing his 2.3 g to 9.5 g range. He likewise took comfort in knowing that his conclusions were similar to those of Stone and Bourne, and this corpus of research convinced Pauling, for the remainder of his life, that vitamin C was an essential key to achieving optimal health.